The Sonoma Collection brings inspired design and intelligent functionality to the modern bathroom. The Sonoma 59-inch x 28-inch mirror with Matte metal frame harmonizes with the collection's vanities and wall cabinet for a contemporary, coordinated design palette. It can also stand alone as a graceful accent piece. The MOEN Banbury mirror features a popular Chrome finish that lends an upscale aspect to the bath while perfectly matching the popular MOEN Banbury collection. This Banbury mirror has classic design features to help accent your traditional bath decor and make your bath feel even more elegant. A full line of coordinating MOEN faucets and accessories is available to complete the look of your bath. The straight forward design of the Cosmos Beveled Mirror contributes to the cool, sleek profile of your personality. Bold clean lines offer a broad spectrum of placement choices. Adding a modern nod to your living room and offering a cool seduction to your powder room, the ultra simple wave design stands up to the most sophisticated decor. The mirror frame is finished in brushed silver. Sonoma 28-inch L x 59-inch W Framed Wall Mirror in Nickel The Sonoma Collection brings inspired design and intelligent functionality to the modern bathroom. The Sonoma 59-inch x 28-inch mirror with Matte metal frame harmonizes with the collection's vanities and wall cabinet for a contemporary, coordinated design palette. It can also stand alone as a graceful accent piece. Sonoma 28-inch L x 59-inch W Framed Wall Mirror in Nickel is rated 4.5 out of 5 by 14. Rated 5 out of 5 by Marina from Beautiful, well made mirror. Adds a polishing, modern feel to... Beautiful, well made mirror. Adds a polishing, modern feel to our master bathroom. Rated 5 out of 5 by Anthony from My wife loves it!... My wife loves it! Rated 4 out of 5 by JLR from The Avanity Sonoma matched my nickel fixtures well and fit... The Avanity Sonoma matched my nickel fixtures well and fit the space perfectly. Rated 5 out of 5 by lmtslc from This is a beautiful mirror! It's just what i was looking for. It was very easy to install. This is a beautiful mirror! It's just what i was looking for. It was very easy to install. Rated 4 out of 5 by Carolyn from The first mirror we ordered was cracked. The second one... The first mirror we ordered was cracked. The second one was good and looks great! Rated 5 out of 5 by Jaime from GREAT mirror! Its very well made, solid seam corners (no gaps) it looks very good in our new rem... GREAT mirror! Its very well made, solid seam corners (no gaps) it looks very good in our new remodeled bathroom! Rated 5 out of 5 by TJ from Great addition to my newly renovated bathroom. 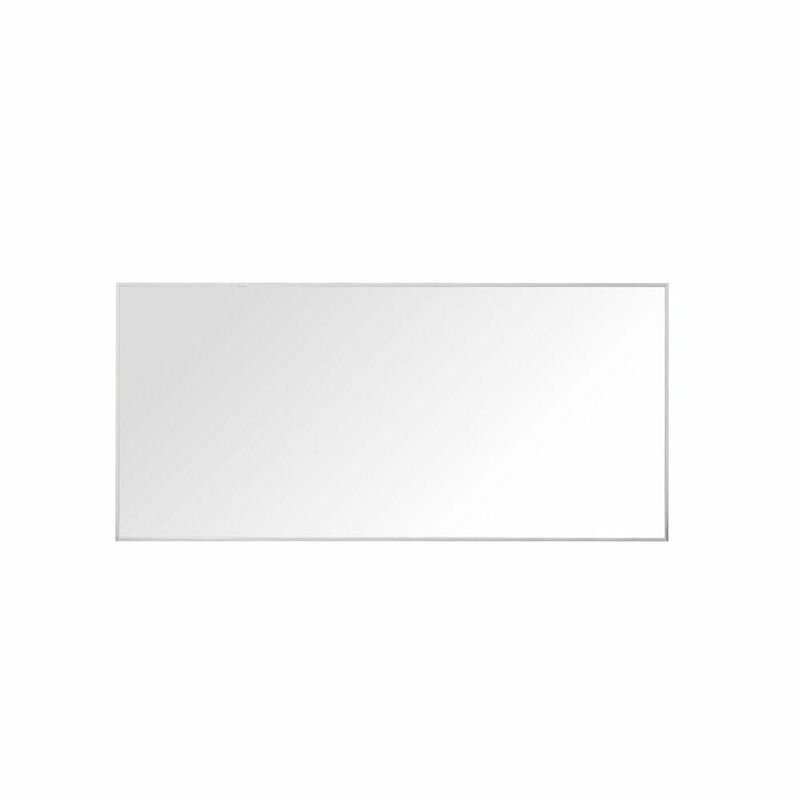 This mirror has a sleek design, and works well wit... Great addition to my newly renovated bathroom. This mirror has a sleek design, and works well with my 60" vanity. Easy installation!